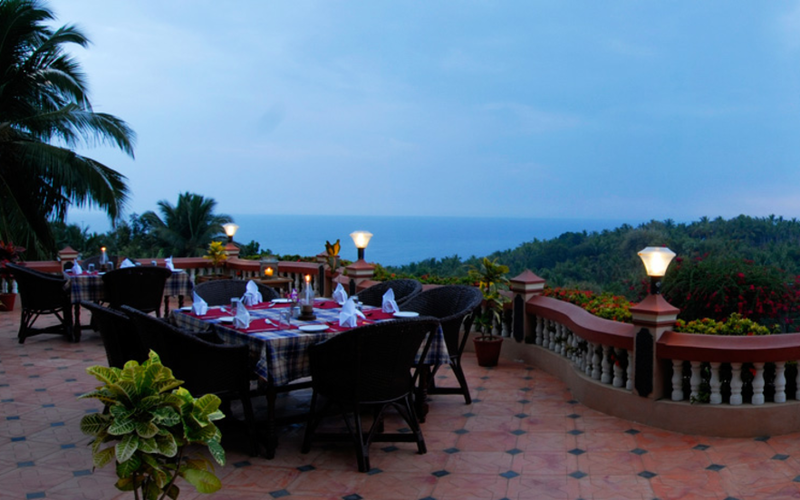 Perched exquisitely on top of a cliff, the Thapovan Heritage Home is bordered by the virgin Nellikunnu beach. 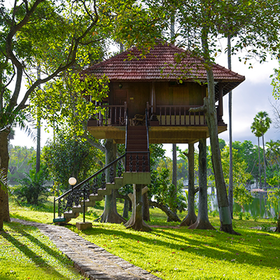 Traditional architectural marvels will greet you under the shade of swaying palms. 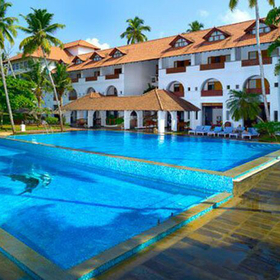 Hidden in a quiet corner, away from the busy Kovalam beach, the Thapovan is an ideal hideaway for travellers looking for a quiet holiday. 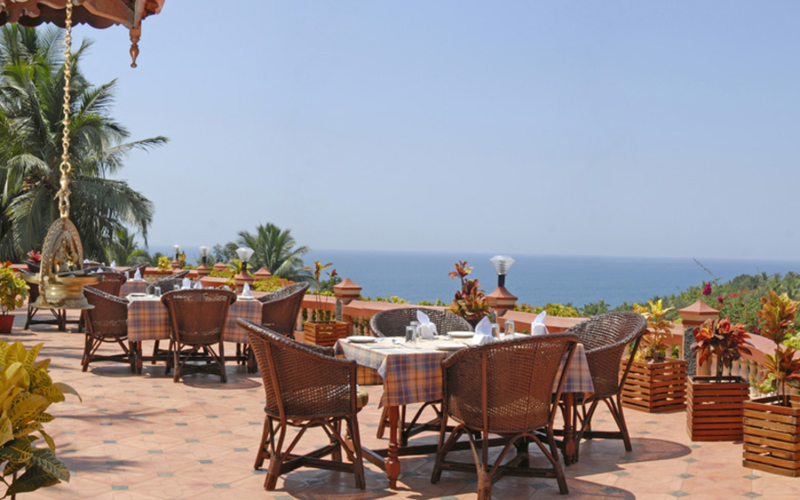 The resort has a terrace with a beautiful view of the nature around Kovalam and has a beach-club with an excellent place for Ayurveda treatments. 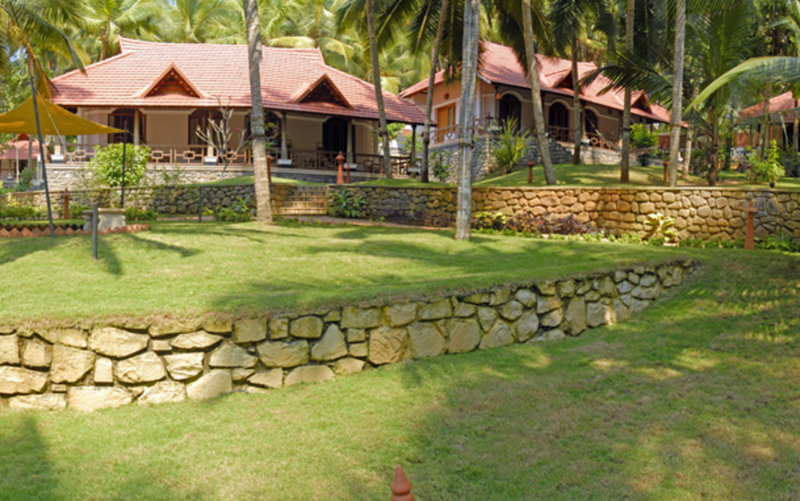 Each of the beautifully appointed rooms overlooks the sea. 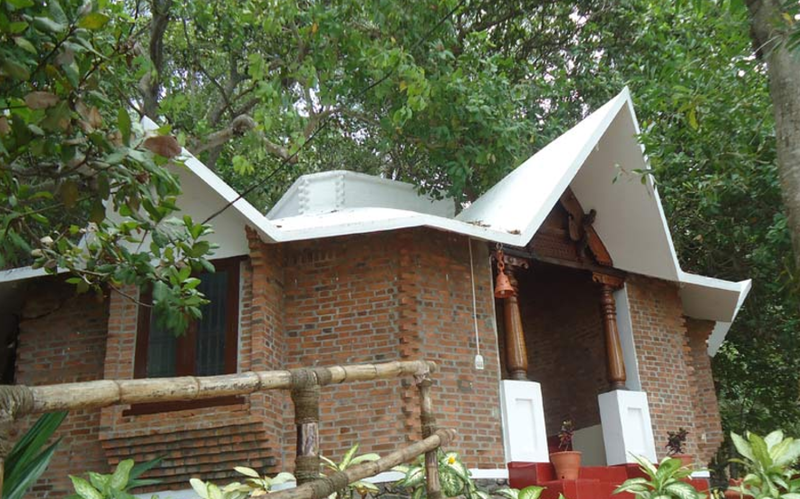 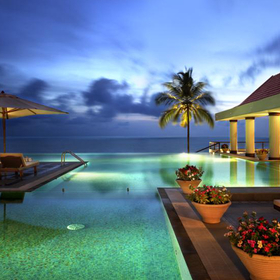 18kms (30 minutes drive) from the Trivandrum international airport. 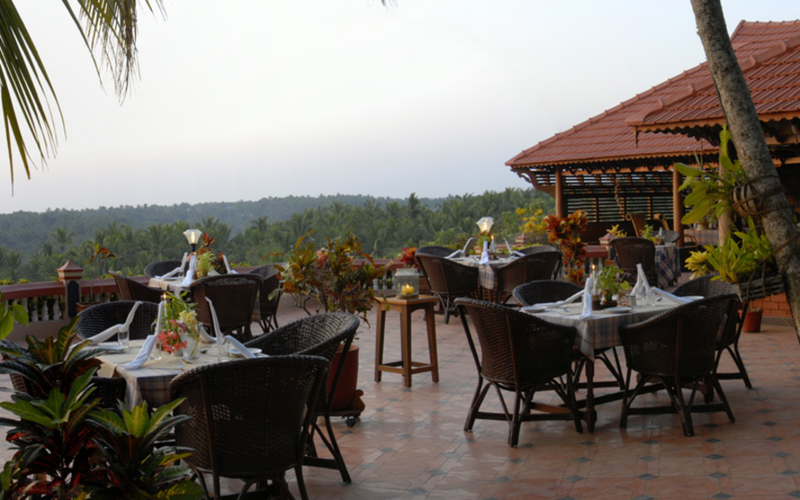 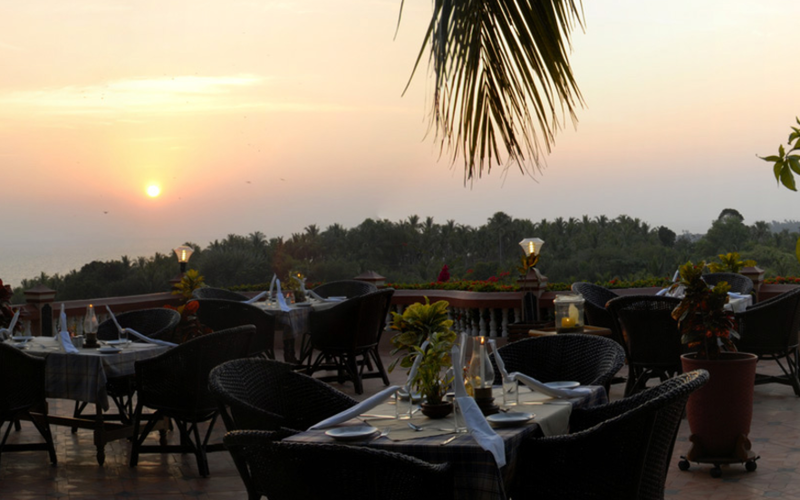 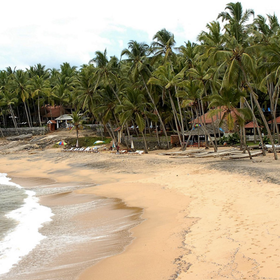 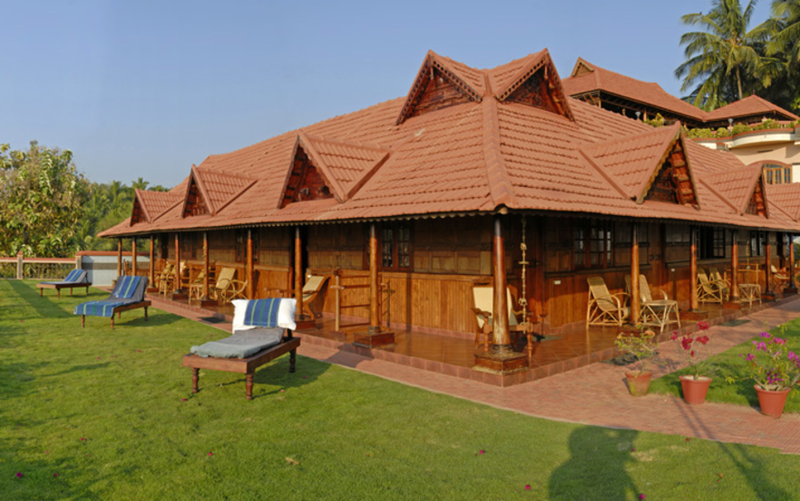 Garden and beach restaurant offering traditional Kerala cuisine and also Chinese and western preparations. 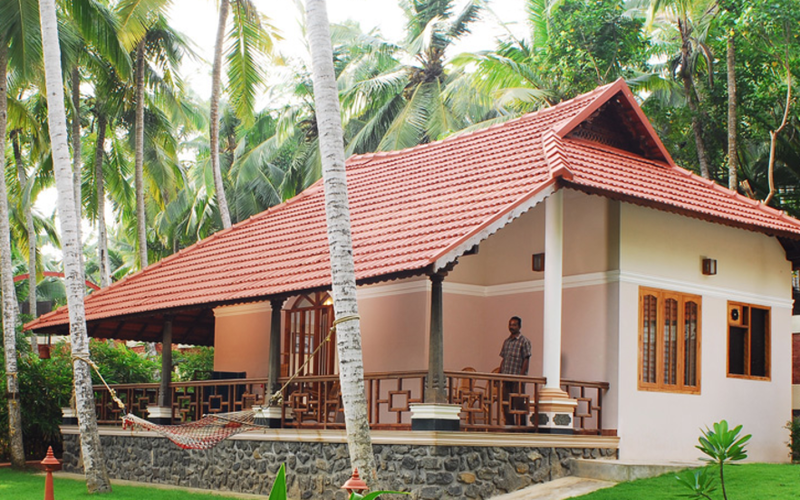 31 rooms of traditional and ethnic architecture consisting of 13 garden rooms and 18 rooms built on a cliff overlooking Nellikunnu Beach.